All items contain or may contain milk, soy and wheat. Cellulose Gum, Sodium Caseinate (From Milk), Mono and Diglycerides, Sodium Citrate, Dipotassium Phosphate, Carrageenan. Mononitrate, Ribofavin, Folic Acid), Food Starch Modifed, Maltodextrin, Whey Powder, Nondairy Creamer (Coconut Oil, Corn Syrup Solids, Sodium Caseinate [From Milk], Mono and Diglycerides, Dipotassium Phosphate, Silicon Dioxide), Textured Vegetable Protein (Soy Flour), Dried Carrots, Freeze Dried Zucchini Squash and Peas, Natural Flavor, Yeast Extract, Dried Onion, Salt, Xanthan Gum, Partially Hydrogenated Soybean Oil, Spices, Disodium Inosinate and Disodium Guanylate, Turmeric and Annatto (color). Ingredients: Palm Oil, Sugar, Natural Yogurt Flavor, Sweet Whey, Nonfat Dry Milk, Food Starch - Modified, Corn Syrup Solids, Sodium Caseinate (a milk derivative), Natural and Artificial Flavor, Cellulose Gum, Xanthan Gum, Tara Gum, Salt, Dipotassium Phosphate, Mono and Diglycerides, Sodium Stearoyl Lactylate, Carrageen. 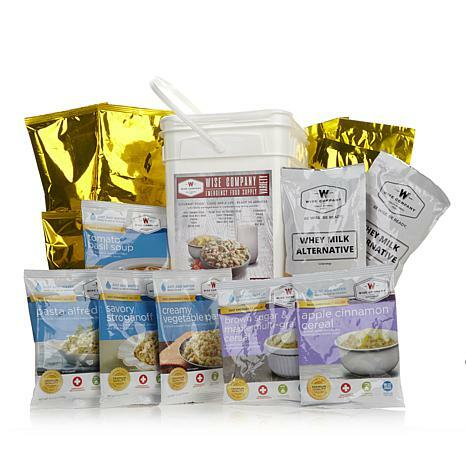 Ingredients: Pasta (Durum Semolina Flour [Wheat], Niacin, Ferrous Sulfate [Iron], Thiamine Mononitrate, Riboflavin, Folic Acid), Sweet Whey Powder, Maltodextrin, Potato Flour, Nondairy Creamer (Coconut Oil, Corn Syrup Solids, Sodium Caseinate, Mono and Diglycerides, Dipotassium Phosphate, Silicon Dioxide), Textured Vegetable Protein (Soy Flour, Caramel Color), Food Starch - Modified, Bleached Wheat Flour (Wheat Flour, Niacin, Reduced Iron, Thiamine Mononitrate, Riboflavin, Enzyme, Folic Acid), Nondairy Creamer (High Oleic Sunflower Oil, Corn Syrup Solids, Sodium Caseinate [From Milk], Dipotassium Phosphate, Mono and Diglycerides, Silicon Dioxide, Mixed Tocopherols [to preserve freshness]), Dried Onion, Salt, Natural and Artificial Flavors, Xanthan Gum, Dried Mushrooms, Partially Hydrogenated Soybean Oil, Dried Onions, Garlic Powder, Lactic Acid Powder, Titanium Dioxide (for color), Spice, Disodium Inosinate and Disodium Guanylate, Caramel Color. Ingredients: Ingredients: Pasta (Durum Semolina Flour [Wheat], Niacin, Ferrous Sulfate [Iron], Thiamine Mononitrate, Riboflavin, Folic Acid), Nondairy Creamer (Coconut Oil, Corn Syrup Solids, Sodium Caseinate, Mono and Diglycerides, Dipotassium Phosphate, Silicon Dioxide), Enriched Wheat Flour (Wheat Flour, Niacin, Reduced Iron, Thiamine Mononitrate, Riboflavin, Enzyme, Folic Acid), Maltodextrin, Tomato Powder, Sea Salt, Sugar, Natural Flavors, Paprika and Turmeric (color), Partially Hydrogenated Soybean Oil, Guar Gum, Spices, Disodium Inosinate and Disodium Guanylate, Citric Acid. Ingredients: Pasta (Durum Semolina Flour [Wheat], Niacin, Ferrous Sulfate [Iron], Thiamine Momonitrate, Riboflavin, Folice Acid), Food Starch - Modified, Nondairy Creamer (Coconut Oil, Corn Syrup Solids, Sodium Caseinate [From Milk], Mono and Diglycerides, Dipotasium Phosphate, Silicon Dioxide), Nondairy Creamer (High Oleic Sunflower Oil, Corn Syrup Solids, Sodium Caseinate [From Milk], Dipotassium Phosphate, Mono and Diglycerides, Silicon Dioxide, Mixed Tocopherols [to preserve freshness], Maltodextrin, Bleached Wheat Flour (Wheat Flour, Niacin, Reduced Iron, Thiamine Mononitrate, Riboflavin, Enzyme, Folic Acid), Hydrolyzed Soy Protein, Parmesan Flavor (Salt, Yeast Extract, Potato Maltodextrin, Coconut Oil), Partially Hydrogenated Soybean Oil, Salt Garlic Powder, Spices, Dried Onion, Disodium Inosinate and Disodium Guanylate, Disodium Phosphate, Natural Flavor. I figured that this would come in handy when the power goes out. And for camping. My family and I loved it. I am waiting for the next presentation to purchase this product again. A great item to put with the survival kit! I keep a couple backpacks full of survival gear in case there is a need for any reason. 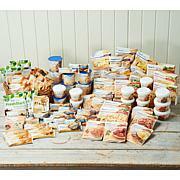 I researched these food kits and this was a great value! I cooked up 5 or 6 different things to test them out and they were all quite delicious! I am blessed to have this in case there is an emergency. Easy to use and tasty. I feel more prepared. Haven't used. Bought for emergencies. Feel good knowing I can just grab this container and water and leave and I will have nourishment.